You have only one chance to make an impression on AdComs when you apply to medical school and it all starts with your medical school personal statement. Do you want a second pair of eyes to take a look at your medical school essay? Not sure what topics to include in your personal statement? Wondering, "Does this sound okay, is it making the impression I want it to have"? No worries, you're in luck today with my medical school personal statement editing services you're practically guaranteed an acceptance to medical school! I have over a 95% success rate on the medical school essays I review. Those are certainly the odds I'd like to have when applying to become a doctor. Seriously though, your personal statement matters because it goes out to all the medical schools you will be applying to. One mistake can totally derail your chances of getting in. Don't let that happen to you. You've worked too hard to slack off on the writing of your medical school essay. This is your only chance to show AdComs who you are. You can totally tell your story without any holds and either sell yourself to AdComs that you're the best applicant for their medical school or make a huge mistake that keeps you out of medical school. 5,300 characters is all you have to make your case. Do you know what to say and how to say it? Plus, once complete your medical school essay goes out to all the medical schools you will be applying to. If there's a mistake everyone is going to see it and you can't change it later. Wouldn't it be great to know the person editing your personal statement has a 95% success rate in getting students to the next level! Working with me you're practically guaranteed an acceptance to medical school. Anyone can check your grammar and heck, the computer does the spell check for you. But having a winning medical school essay demands a lot more. Just knowing what topic to write about matters. I can effortlessly take a look at your personal statement and immediately tell you whether it will make the cut or not. Besides, I go line by line through your essay making suggestions, changes and alterations so you have the best chance of making a positive impression on your reader. Sure you can find anyone to take a look at your personal statement but that's not what you want. You need a medical school personal statement editor who has actually applied to medical school, gotten admitted and read hundreds of essays. Your English Lit major does not know what goes into a winning medical school personal statement. They'll do a great job with English and grammar but not the content of your essay. I will tell you exactly what you should keep, what needs to go and how to make an immediate positive impression on your reader so they come back to the committee announcing, "I have this great personal statement that we just need to bring in this applicant..."
That can be you when you work with me! First impressions are lasting impressions...and this is the only time you'll hear me use cliches. Otherwise this is a big no-no in the writing of your medical school personal statement. Your reader is going to be very busy and the last thing you want to do is be boring. I teach a process where you come out the gate fast and furious. You immediately grab their attention with the first sentence you write. This captivates your reader and puts them into a positive mental frame when reading the rest of your essay. Ultimately, you will have the essay that seems to flow effortlessly as each paragraph builds upon the former. Your reader will no longer be scratching their head trying to figure out why that sentence was included there or why you decided to cover that other topic as well. Not sure what to write about? I have you covered. Right off the bat I can tell you to avoid writing about Dr. Jones and how shadowing him you knew you wanted to be just like him because he is very smart, stays late to talk with patients and is an excellent teacher. What you've just done is made a glowing recommendation of Dr. Jones but did nothing to help yourself get into medical school. There are a ton of similar examples that I will reveal with you to guarantee you aren't shooting yourself in the foot with the writing of your medical school personal statement. Understand that you're applying to medical school so you can become a doctor. Don't short change yourself by finding a random person online to read your medical school essay. Just because they're applying doesn't mean they know what makes for a great essay. You need someone who actually reads hundreds of medical school personal statements and knows what actually matters. We're talking about your entire medical future so with the trusted editor in me. I will not lead you astray and matter of fact your mind is going to be totally blown when you see the work I will do on your personal statement. Besides, whoever you find online do they really have your best interest at heart? Over 60% of first time applicants to medical school get rejected so playing devils advocate perhaps that random student who agrees to review your personal statement may actually sabotage your chances because you're their competition. Did you know that all things being equal between two applicants your personal statement becomes the deciding factor! And thirdly, your Personal Statement. So give it the attention it deserves. AdComs do read what you write and it can make a lasting impression on them for better or worse. So what you write makes a huge difference to your reader so you better have help to ensure you're writing in a manner that moves you along in the admissions process. Your background is in science. You know numbers and equations but writing and English is terrifying because it's new territory. No matter how you feel about writing you still need to have an awesome personal statement if you want to get into medical school. Today your struggles are over! I will help you craft the best medical school personal statement you've ever encountered that will have AdComs absolutely drooling over your application and fighting to invite you to a medical school interview. You won't be the first student who has come to me for personal statement help and walked away absolutely amazed at the changes I've made in your essay so that you can get into medical school. What is Getting Into Med School Worth to You? If my editing services got you into medical school would it be worth it? If all this ensured you avoided a post bac or having to re-apply would it be worth it? I'm not going to charge you $1,400. You only invest $200 towards your future. I'm going to take on all the risk and give you my 200% guarantee. I will be 100% plugged into your medical school personal statement and I will be 100% confident you will walk away with an amazing personal statement. I will go over your personal statement and tell you exactly what impression you make on AdComs. Your statement either gets you closer to an acceptance or farther away. Please note that since this is a service being offered, all sales are final. You must act now because I can only work on a limited number of personal statements. 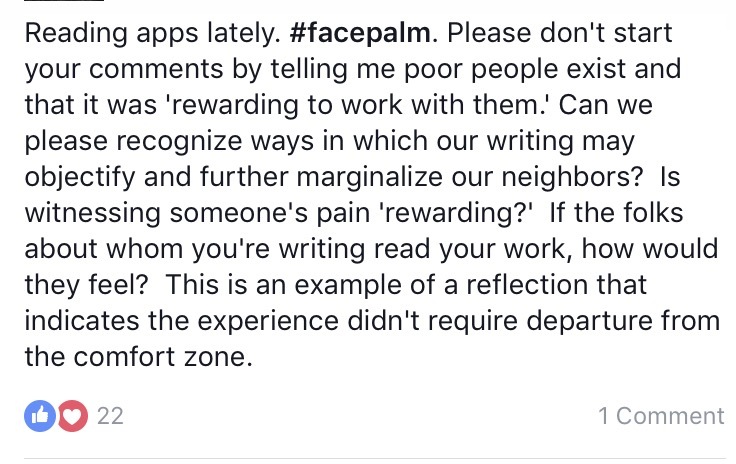 I don't hand off your essay to inexperienced editors who have never applied or attended medical school. Just imagine what life will be like after you submit your applications and you start receiving emails inviting you to medical school interviews. But life will totally change on the day you receive your first medical school acceptance because after this point no matter what you will be a DOCTOR! All your hard work and efforts will have paid off and you can be proud that you are on your way to medical school. Remember your medical school essay should adhere to AMCAS guidelines of not exceeding 5,300 characters. The turnaround time for medical school personal statement editing will be less than 48 hrs. It doesn't matter to me if you sign up right now or not. I'm still going to be doing medicine and helping premeds get into medical school - whether you decide to work with me or not. However, without my help, you'll ALWAYS be working harder than you really need to. I know it sounds kind of harsh, but I think you'll agree that it's true. Remember, you get Personal Statement Editing Services that is much more than a simple grammar and spell check so that you can walk away with a powerful and compelling medical school essay that will fast-track your acceptance to medical school.